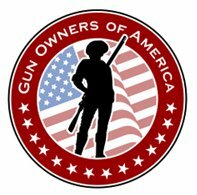 This entry was posted in 2nd Amendment, pro gun, rifle and tagged 2A, 2nd Amendment, Gun politics, pro gun, Pro-Gun Rights, rifle stock, rifle stocks, Right to keep and bear arms, Second Amendment to the United States Constitution, Stock refinishing, Wood rifle stock, Wood stocks. Bookmark the permalink. It depends… I usually use Watco Dark Danish Oil on the Model-70, and other times, I use pine tar, followed by mineral oil and when the oil is wet, I rub beeswax over the oil to melt the wax and burnish by hand. The low luster buff with a soft dry cloth.